JP Morgan, at least according to the daily Comex warehouse report, added over half a million ozs of silver to its “historic” stash of silver at the Comex: TF Metals Report. It would be even more interesting to see an actual independent accounting of that specific metal which would track the serial numbers on the bars to the legal owner of title. I’ve been hedged in my mining stock portfolio since early September. The signal for me to hedge is the reliable Comex bank “net short” position as reported in the weekly Commitment of Traders report. Since late summer, the bank net short position, and the corresponding hedge fund “managed money” net long position, has been at an extreme level. Historically this is the signal that the Comex banks will implement what I call a “COT open interest liquidation” take-down of the gold/silver price using Comex paper to trigger hedge fund stop-loss positions. This enables the Comex banks to cover their shorts and print huge profits. It’s also illegal trading activity but that’s for another day. In early September, in “eyeballing” the gold chart in conjunction with the historical COT data I have set up in a spreadsheet back to 2004 , I figured that the open interest – which was in the high 500,000’s at the time – needed to come down at least 100-150k contracts. I thought it would take a price take-down from $1320 to $1230/$1240. 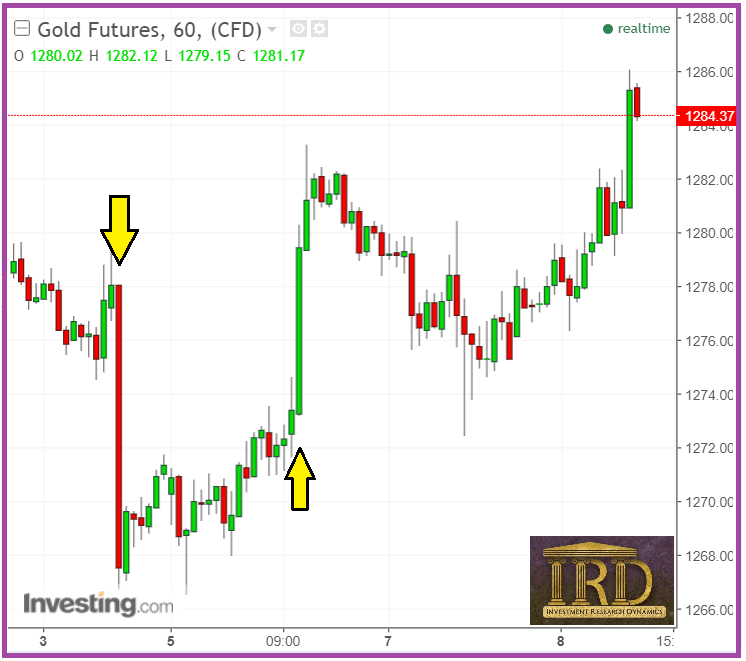 Unloading on the price of gold like this on a Friday, after the rest of the trading world – and specifically the physical-buying eastern hemisphere markets – has closed for the weekend, is typical. What is not typical, however, is the reversal of the price of gold which occurred the next trading day (Monday). Usually a shock and awe price-attack, like the one that occurred on Friday, is followed up by a few days in a row of price declines. I thought this would be the progression which would cause open interest to liquidate in a manner the banks would use to covered their shorts as the hedge fund puked out their longs. The open interest in Friday declined by only 4.9k contracts. Typically a “shock/awe” hit would have removed at least 10k of open interest. Based on the latest COT report, the bank net short position stubbornly persists at an extreme level. Open interest as of yesterday also persists at a high level. Another typical indicator that the banks are trying to push the price of gold lower is the repeated “false news” reports that spin out of Bloomberg News regarding India’s demand for gold (Gold Import Slump in India). However, based on the high ex-duty import premiums which correlate with India’s level of import demand, India’s legal importation of gold in October was at least normal for the month. It also followed an extraordinary level of importation in September. YTD through the end of October, Indian gold imports are up 91% vs the first 10 months of 2016 (I track import premiums in India via John Brimelow’s Gold Jottings report). I am still hedged. 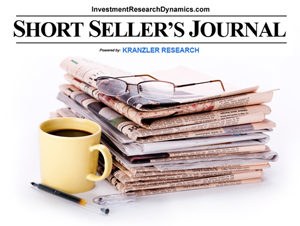 As I asserted to my subscribers in last week’s Mining Stock Journal, although I still am mentally braced for one more aggressive attack on the price of gold that will enable the Comex banks to book profits on their collective net short position, I’ve started evaluating the possibility that the precious metals could start to launch higher in spite of the large bank short. In other words, it might start to get interesting in this sector. Another signal for me that something unusual is occurring is the fact that junior miners have started popping in price again at the release of positive drilling results. For instance, yesterday one of the juniors I feature in my Mining Stock Journal jumped 17%. This is behavior coming from the juniors that has not occurred since last summer and mining stocks do not exhibit bullish trading behavior if the market is anticipating another leg down in gold/silver prices. Something different – at least for now – is going on. Maybe it’s related to smart, big money knowing that the world is on the cusp of rampant, uncontrollable price inflation after the unprecedented money supply inflation of the last 9 years. And, in reality, the money supply inflation began with Greenspan in the late 1980s/early 1990’s. The U.S. money printing has been going on since Nixon closed the gold window and it went semi-Weimar in 2008-2014. The U.S. exported its inflation with the strong dollar policy and reserve status of the dollar. That has changed. The BoJ and the Peoples Bank of China have been printing money the last few years like a meth addicts on steroids. The ECB is a close third. This monetary inflation was contained when it was just the Fed and maybe the BoJ printing in volume. Now the world is drowning in printed fiat currencies of every flavor. Price inflation is on the cusp of breaking out furiously in all currencies. This will translate into a furious break-out in the price of commodities, especially physically deliverable gold and silver bullion. True economic inflation is defined as the increase in money supply in excess of wealth output. The supply of money exceeds the supply of “widgets.” Eventually the price of widgets has to go higher. We are at that point. I’m talking about parabolic price increases, which have already been manifest in global stock and real estate prices. The graphic to the left suggests that the global economic system has reached a “tipping point” at which rapidly accelerating price inflation is about to emerge. That price inflation, combined with inexorable and severely negative real interest rates, functions as precious metals rocket fuel. 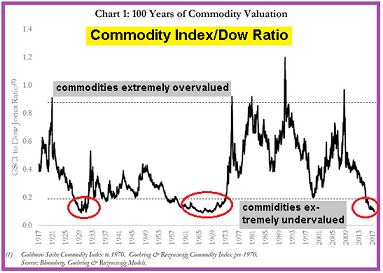 Currently commodities are extraordinarily undervalued relative to the Dow. In fact, going back to 1917, there were only two prior periods when commodities were extremely undervalued vs. the Dow – the late 1920’s – early 1930’s and during the 1960’s. Both of those times, the U.S. dollar was significantly devalued vs. gold. In November 1934, FDR revalued the price of gold by 75% vs. the dollar, from $20 to $35. The market forced the devaluation of the dollar vs. gold after Nixon disconnected gold from the dollar in 1971. Since 1971, the dollar has lost 80% of its purchasing power vs. a generic basket of goods. In 1971 it took $35 to buy 1 oz of gold. Today it takes $1271. That’s a 97% decline in the purchasing power of the dollar vs. gold. Here’s the funny thing about the dollar’s eventual fall to zero (per Voltaire and history), the last few percentage points before a fiat currency completes its collapse will produce the biggest nominal price rise in gold. Just look at Weimar Germany as an example. In January 1922, an ounce of gold was worth 1,000 German marks. By November 1923, when the mark collapsed, an ounce of gold was worth 100 trillion marks. A portion of the above commentary comes from the latest issue of the Mining Stock Journal. 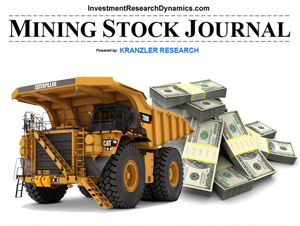 This subscription service presents in-depth market analysis/commentary as well as mining stock investment ideas. 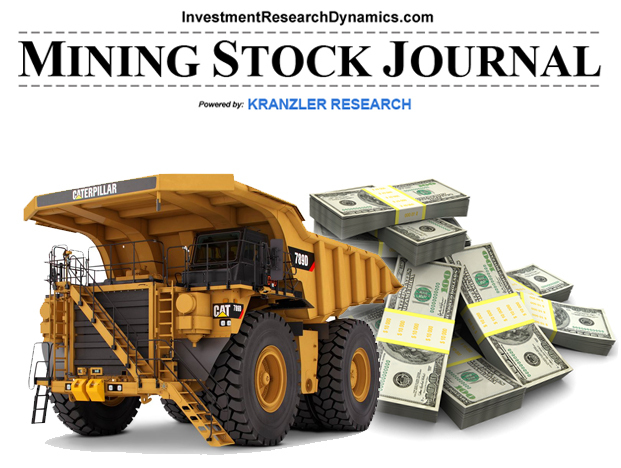 I try to find junior miners before the “crowd” discovers them but I also incorporate relative value ideas in the large cap mining stock space. 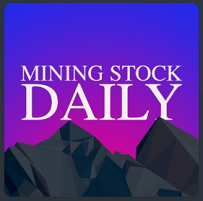 You can find out more about this service here: Mining Stock Journal.